Christopher Clapham, Professor Emeritus at the Centre of African Studies, University of Cambridge looks at the changes that Ethiopia has undergone since the assassination 40 years ago of its last emperor, Haile Selassie. Ethiopia has changed beyond all recognition since the death of its last emperor, Haile Selassie, 40 years ago. Haile Selassie was surreptitiously murdered at the age of 83 by the military revolutionaries who had overthrown him a year earlier. Though t-shirts bearing his familiar features are to be seen on the streets of Addis Ababa, the days of the empire have gone and there is no move to restore it. Gone too is the Derg, as the military regime was called. It attempted to build a communist state on the ruins of the empire, like its backers in the then USSR. Though it built what initially seemed to be an effective dictatorship, it was unable to cope with the economic incompetence of state socialism – symbolised for the outside world by the great famine of 1984 – or the resistance aroused by brutal top-down central rule. This resistance was led by the movement for the independence of the northern province of Eritrea. One of the most effective insurgencies the world has ever seen, it brought down the Derg in the province in 1991. Eritrea has since tragically degenerated into an African North Korea, which has succeeded only in providing a massively disproportionate number of the refugees now besieging Fortress Europe. The government of the rest of Ethiopia – by far the largest part of the country – fell to an allied guerrilla movement, the Tigray People’s Liberation Front. The Tigray People’s Liberation Front initially alarmed the international community by proclaiming Enver Hoxha’s socialist Albania as the example which it wished to emulate. It was saved not least by its leader, Meles Zenawi, who emerged as perhaps the most original and intelligent African ruler of the last 50 years. 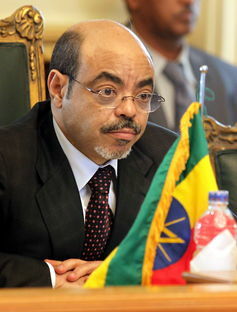 Meles rapidly recognised that crude authoritarianism offered no formula for governing a country as diverse as Ethiopia, and introduced a system that promised each of its “nations, nationalities and peoples” a high degree of internal self-government, extending to a right of self-determination, “up to and including independence”. The actual level of autonomy has fallen well short, and opposition is subverted or suppressed, but there is nonetheless a measure of federalism in which the peoples of each region are at least governed by members of the same group as themselves. Together with a senseless war in 1998-2000, launched by newly independent Eritrea, this has helped to promote a revived sense of Ethiopian nationalism. Most remarkable of all, however, Meles' economic development programme has turned the country into one of the fastest-growing economies in Africa, with levels of GDP growth over the last decade at or close to 10% – without the oil or mineral wealth that have largely powered growth in other parts of the continent. Investment in infrastructure and especially roads, which are vital to development in Ethiopia’s mountainous terrain, has been the key. Education has also received a boost, together with public health, where the country’s efficient and generally honest (though undoubtedly bossy) administration has helped to encourage foreign aid donors. Yet the centrepiece is the Grand Ethiopian Renaissance Dam, currently under construction on the Blue Nile close to the Sudanese border. 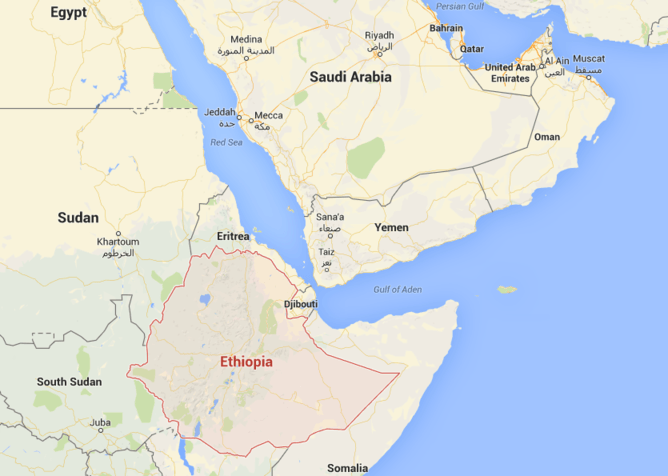 Due to complete in 2017, it promises ample power for Ethiopia and much of northeast Africa. Smaller hydroelectric schemes on the Gibe river in the south of the country are already coming on stream. Landlocked since Eritrean independence, and denied use of Eritrean ports since the 1998-2000 war, Ethiopia’s external trade is highly dependent on the microstate of Djibouti. It is constantly looking for alternative outlets, one of which may be the projected LAPSSET corridor to Kenya. Most remarkable of all, Ethiopia has secured Sudanese and even Egyptian acquiescence over the intensely sensitive issue of the management of the Nile waters. Ethiopia has likewise established its position as the regional diplomatic centre, and in some eyes even as the regional hegemon. Swift alliance with the United States and its allies in the “global war on terror” made it the key in Western eyes to regional stability in a conflict-ridden part of the world, and helped to avert sanctions for undemocratic governance. When opposition parties threatened to win an election in 2005, the results were reversed, and subsequent elections most recently in 2015 have been closely controlled. As the headquarters of the African Union, Addis Ababa is the diplomatic capital of the continent, and the government has played an active and responsible role in attempting to resolve conflicts in neighbouring Somalia and South Sudan. Friendly relations are also maintained with China, which serves as the model for Ethiopia’s market-friendly but state-controlled development programme. Undoubted dangers remain. One major hazard was skilfully managed in 2012, when Meles died and was peacefully replaced by Hailemariam Desalegn, a technocrat from a region of southern Ethiopia historically excluded from positions of power. Yet inevitably he does not command the same authority as Meles, and domestic government turns on complex behind-the-scenes negotiation between political stakeholders. What appears to be a smoothly running operation may risk fragmentation. And though the regime is formally committed to equal participation in government of the country’s diverse groups, both the largest and most centrally placed group, the Oromo, and also the country’s Muslims feel relatively disadvantaged and may cause instability. Earlier in August, the mainly Coptic Christian country gave long jail sentences to 18 Muslim nationals for acts of terrorism. The border between a historically dominant state and the private sector meanwhile remains uncertain, with control of telecoms a key prize. 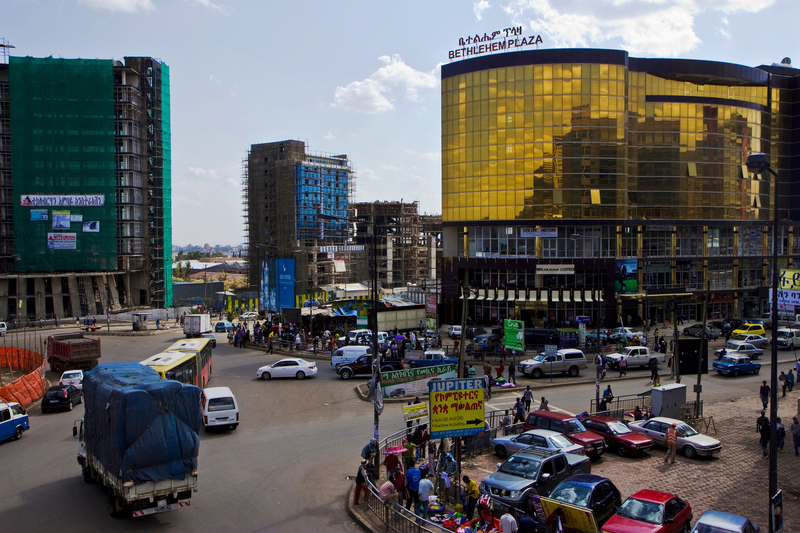 Ethiopia has yet to develop the productive export-oriented enterprises that its growth plans demand, and has tended to favour foreign firms over encouraging a potentially threatening domestic business sector. Ambitious development schemes have also understandably aroused environmental concerns. Nonetheless, from the perspective of the revolution that overthrew Haile Selassie in 1974, and still more the disastrous famine a decade later, Ethiopia’s progress has been spectacular.